The classic Technics SH-AC500D is about as simple as it gets, with minimal settings the processor is easy to set up and use, add in the smooth non-fatiguing sound even at high levels and you get a fabulous processor for use with DVD's and online video. One (1) Sony SDP-E800 Surround Processor. SERIAL NUMBER PICTURED. - Works great! It has been tested and does work with a good sound. ---We are not experts in any field---. The face still looks good however. We are NOT responsible for the costs of the cleaning, servicing or adjusting. 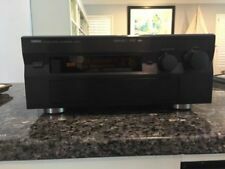 Sony SDP-EP9ES ES Range Dolby Digital Surround Sound Processor Pre Amplifier Very good condition, see photos. Works perfect. It has a Digital Input for Dolby AC-3 (for use with Some LaserDisc Players!) Includes only what is pictured. Will be packed carefully. NAD 7000 Monitor Series Stereo Receiver. Condition is Used. Shipped with USPS Parcel Select Ground. JBL ESC200 Surround Sound Processor Amplifier Dolby Pro Logic Powered!!. Condition is Good Used and Tested! 10% goes to charity:water to support their amazing mission to bring clean water to the world! 6 channel speaker outputs, dual stereo inputs and a stereo line level output to pass through. All functions work as they should. Excellent condition only minor surface scuffs in the top. Front face is very clean. No weird odors. JBL ESC200 Surround Sound Processor Amplifier Dolby Pro Logic. Condition is Used. Shipped with USPS Priority Mail. Up for sale is my A V Surround processor. Otherwise, you can just tune everything manually. 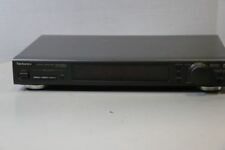 Technics SA-GX350 Logic Surround Sound Amplifier Tuner. Condition is Used. Shipped with USPS Priority Mail. All channels have been used and work. 2 video in/out - 2 video in - 1 CD/aux in - 1 tape in/out - monitor out - 2 AMP bypass - 3 electrical input - 4 speaker out (front and rear) - full panning (front/back and L/R). NAD A/V Surround Sound Processsor Model 910. So this unit is in good condition. It does show a few signs of wear. Just above where it says surround sound processor. Other than that the unit is in good condition. No other parts, cables, or accessories included. See photos. On a scale from 1 - 10, with 10 being in new or excellent condition, this item is rated as a7. All pictures are taken in house. SEE PHOTOS. All images taken in house of the unit(s) being sold, except for multiple quantities where item received will be in similar or better condition. Up for sale is my Yamaha DSP Amplifier. Tested and works perfectly. NAD 7000 Monitor Series Stereo Receiver. NAD 7000 unit Only, NO other accessories. - Tuning range: AM, Stereo FM. - Power output: 40 watts per channel into 8Ω (stereo). Tested and works like it should. Processor has been tested working and is guaranteed fully functional. Item has wear from previous use including scuffs and blemishes. Power cable not included. Photos of actual item for sale. Item is on hand and ready to ship. Please feel free to message us if you have any questions. Processor has been tested onsite and is guaranteed fully functional. Unit is in fair condition and has heavy wear from previous use including blemishes, nicks, scuffs and scratches. Part of the material on the front of the display is coming off as well. Unit only, no power cable or accessories included. Photos of actual item for sale. Please feel free to message us any questions you may have. Thank you for checking out our listing. Ready to ship today! . You can connect up to eight sources, five of them video-based, plus a CD player, external tuner, and an analog tape recorder. In addition, there are five assignable digital audio inputs, 3 coaxial and 2 optical. Produces a range of surround quality to your audio. Anthem AVM-2 Black. Center channel equalization. Auto detect DSP modes: Dolby Digital; DTS; Dolby Pro-Logic; MPEG2. Audio Modes: Stereo (5 modes); Mono (3 modes). Headphone Output (connected in parallel with MAIN path). Item has been tested and working. See all photos for details. The MX150 is scheduled to be available later this month. The MX150 carries on in the McIntosh tradition of sonic excellence with exceedingly low noise and distortion performance. Coaxial and optical digital audio inputs are provided along with an AES/EBU balanced digital input for use with fine-quality outboard DACs such as the McIntosh MDA1000. Used but remains in good condition and works properly. Knob is missing. Kenwood VR-2080. 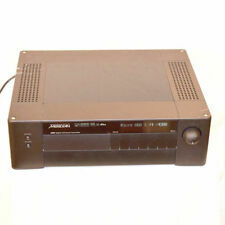 Audio Video Surround Receiver (1998). Surround output: 100W (front), 100W (center), 100W (rear). The unit is in Excellent condition. The units has been part of my collection rarely Used. Very rare Harman Kardon AVP 1a surround sound processor, remote and copy of operating manual. I have owned this for years, it works perfect and is in beautiful cosmetic condition. I replaced the fuse some time ago and misplaced the cabinet screws which are easy to replace. Would be a great addition to any high end vintage system and looks very cool as well. I believe these were going for $1,700 or so back in the day. Thanks!